I've been wanting to shoot pictures of dandelions for a long time, so I ran out very quickly tonight after a busy few days of wedding planning and caught the last bit of today's sun. It felt good to just shoot some pictures, kind of relaxing you know? You can see more mosaics here at Mary's beautiful blog. Hmmm - they look sort of 'wedding-y' in a vintage and shabby sort of way. Lovely macros! Maybe I'll try to get some shots of our own dandelions this year; we seem to have a bumper crop in bloom right now... LOL! Beautiful! 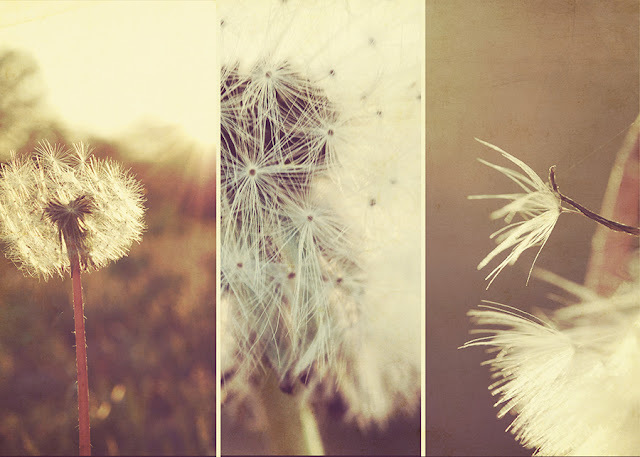 for a dandelion ~ the last pic looks so delicate. these are lovely...nothing like the nasty ones I dug out of my garden last week! gigantic! and your post about the metal bed frame was inspired - I wouldn't have thought to saw off the sides - did you discover a use for the leftover pieces yet? You really have to love this weed for all the photo op's it gives us! Hope the wedding plans are progressing nicely. Beautiful shots! Love the mosaic. Beautiful!!! My son and I used to race to the dandelions to see who could make a wish and blow them out first. LOL!!! Capturing the elusive beauty all around. I like that you took time to do this in the midst of busy wedding preparations. I love dandelions ... especially those gone to seed like these. I agree .... weddingly looking and magical. Happy Monday! you are so kind to me! Thank you! Your photographs are beautiful, magical! 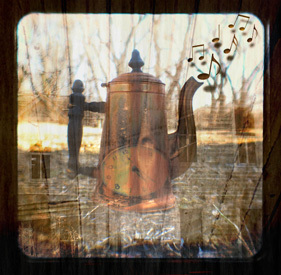 Great photos Jill...love them - you always have a way with the camera - you can always tell how much you love vintage!! Love what you did with the bed - what a great idea! this is the most beautiful set of photos i've seen in quite a bit. they would look AWESOME on canvas! Great photos! I love the soft effects.